If the Republicans are smart, which they probably aren't, they will postpone the hearing indefinitely. The powers that be are cleverly steering debate in such a way as to leave them with the last word. If one wants to smoke pot because one thinks its 'safe', fine. But that is not the ultimate---nor even the real--- reason that one ought to be able to do so...The real reason is that it is one's INALIENABLE RIGHT to use the natural things that grow in Nature's Garden. Any of them. The synthetics WON'T NEED TO BE ILLEGAL WHEN NATURAL THINGS ARE EASILY AVAILABLE. Making these drugs illegal is not as important as making the old standby botanicals available for people who want them! 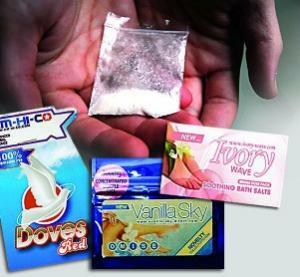 The synthetic drugs like bath salts, etc., would not be a problem if people could have reasonable access to botanical compounds with a long-standing record of reasonable safety. People will always find ways to get high. Why not make it possible for them to do so with time tested things like cannabis, poppies or coca leaves? Basing whether or not something ought to be legal in some way based on how 'safe' it is plays directly into the hands of a criminal FDA, and directly into the hands of the drug cartels. If safety is the ultimate issue, then cars and guns ought to be illegal! Nicotine kills so many people every year that its ridiculous. Alcohol is probably one of the worst drugs on the planet. THE POINT IS FREEDOM TO CHOOSE. Not whether or not we can get some regulatory agency to agree that something is 'safe'. Those same regulatory agencies can close up the pot shop just as quickly as they are opened. Just watch... after the illegal growers have been conveniently put out of business, don't be surprised when you read the headlines: 'FDA claims new studies have shown the dangers of...in Pot Clinic studies', etc., etc.' When the legal pot 'experiment' is decided to have been a 'failure', then 'outed' pot smokers and growers will have a new set of real problems which will make the old ones look small by comparison! You wait and see! On the other hand---for some (perhaps many) of us---pot doesn't work as well for chronic pain as good old-fashioned poppies. True, the extracts of any plants, such as heroin, cocaine---even the extracts of pot can be problematic, and likely need to be regulated somehow. But a decriminalized compromise of some kind is badly needed. NOW. Why let the cartels move their operations further into narcotics like coke, meth & heroin? As the cartels move into opium production and away from increasingly less lucrative pot production, the force of my arguments will become more and more apparent.